Patty's Utopia: What I Learned From The Play, "El Año en que Nací." What I Learned From The Play, "El Año en que Nací." Last Saturday, I went to On the Boards to see the play "El Año en que Nací/ The Year I was Born," and the expression "it moved me to the core," falls short. I laughed, I cried, and then I laughed some more, all the while the characters explained their parents' political ideologies, and experiences during the year that Augusto Pinochet took over Chile. At some point in the play, one of them tells the rest of the actors to form a line according to their parents' ideologies, or the social status the family had when they were born, or the color of their skin. It was funny, and not, to see them arguing over who had to go to the left... or to the right. "What are the parameters that say whether one family had a better social status?" - asked one of them. It made me realize that, way too often, we are trying to find our place in a society that has very confusing parameters; and that I too struggle with the idea of who decides "what", and "why" I am what I am. The play got me thinking about talking to my mother, about what she was doing when I was born. To ask her more about my dad, and his involvement in the marches during the tragic night of October 2nd in 1968, "La Masacre de Tlatelolco." The day that thousands of students were killed in Mexico. I left the theater hungry for knowledge, and with a great deal of respect for the young actors who decided to share their tragic stories of their lives in exile, in terror, in sadness, but with much courage, and admiration for what their parents went through. 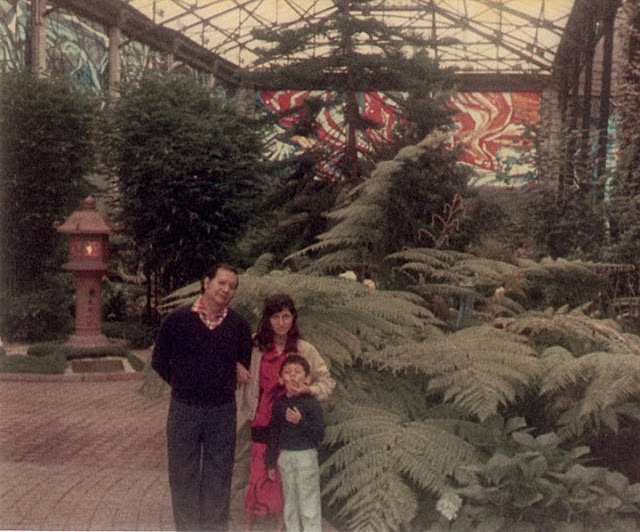 My dad (who passed away about 16 years ago), my brother, and I in Toluca, Mexico. 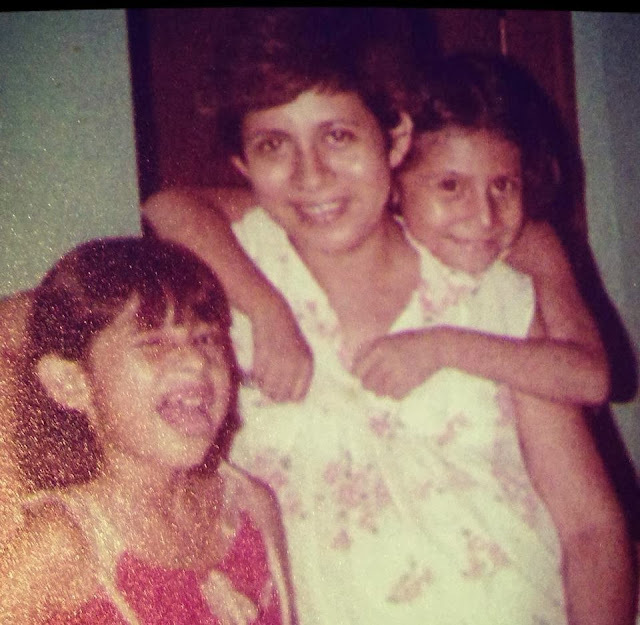 My sister, my mom, and I (the one winking). The mysteries of life. The questions we wish there were answers for years ago. Sometimes amazing. Sometimes sad. Sometimes filled with laughter. I love that you are more curious now that you have seen this play! It really moved me. I look forward to having very long conversations with my mom.